Chili Peppers, El Paso, Hispanic newspapers, Journalism, Mexican-American history, TX. Every year around this time of year, a small town in New Mexico celebrates the peak harvest of its most renowned crop—the Chile pepper. In Hatch, Chile peppers provide an occasion for a parade, the coronation of a Chile queen and many other festivities. For pepper aficionados, Labor Day weekend signals the prime time to purchase peppers that have reached the peak of their flavor. For miles around, these Chile peppers show up in grocery stores and supermarkets, piled high in glorious green mountains of heat. There are bushels of mild, medium and hot peppers, as in this display in the Mexican Mercado-style store, Pro’s Ranch Markets in El Paso, TX. 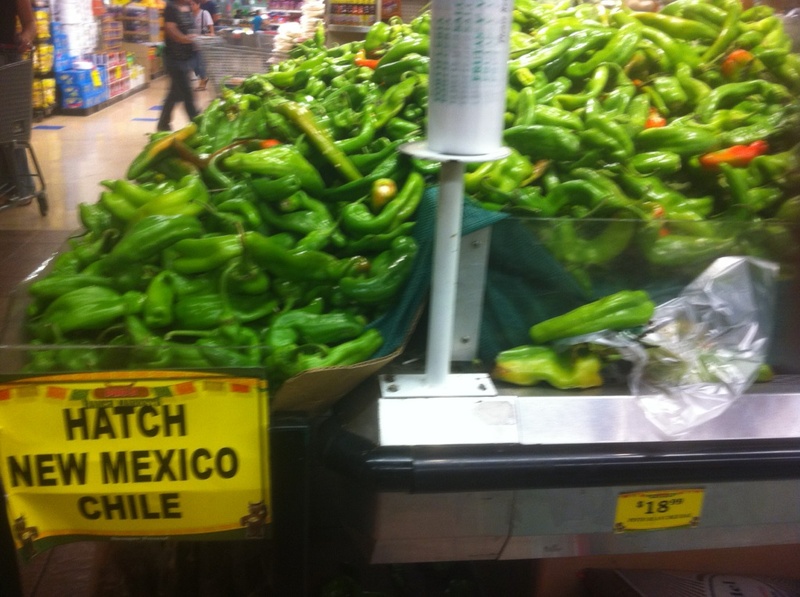 Fresh Hatch peppers spill over huge bins in a Texas market. Photo by M.G. Carstarphen. Of course, one can’t eat all the peppers at once. One way to preserve them is to have them smoked (free!) onsite where you buy them. Then, you can separate them into manageable portions and freeze them. This is our family tradition, one that provides us with tasty chiles for a year. Millions of Americans flock to restaurants servicing Mexican food every year, from the fast food giants that have made their fortunes from this unique cuisine, to the small, family-run restaurants in every community. The history of the chile pepper reminds us that this spicy vegetable originated in the Americas, and has been part of Indigenous and Mexican cuisines for centuries. So, it is curious to me how eagerly some of us can disconnect our love for Mexican cuisine from respect for people of Mexican descent. We know the joys of foods seasoned with chiles because of our common histories. In fact, the town that eventually became Hatch was once part of Mexico, and as this wonderful PBS documentary details, war and conquest changed the boundaries between the United States and Mexico forever. Another view of shared cultural histories comes through in an amazing piece of research by USC Professor Félix Gutiérrez, called Voices for Justice, resulting in a multipanel display and a new CD that Gutierrez makes available upon request. This project traces 200 years of the Spanish press in the Americas, beginning with the first known newspaper in the Spanish language founded in 1809. Food nourishes us, and it can also educate us. Follow the path of the Chile pepper. It might surprise you what you can learn.